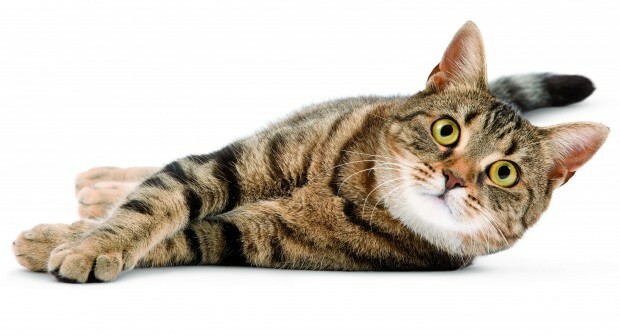 Do you ever struggle with unwanted behaviours, particularly in multi-cat households? 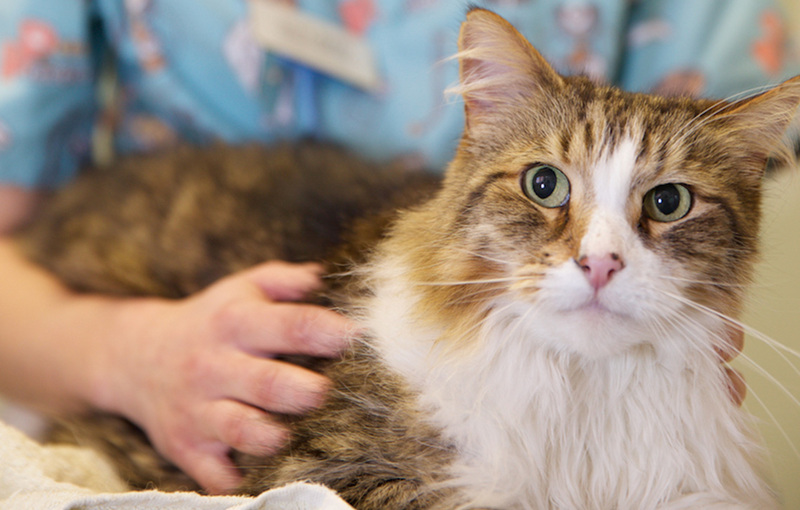 There could be a simple solution such as ensuring your cat(s) have the right environment. Read below for a few tips on how to make your home ‘cat friendly’ in terms of environmental enrichment. Identifying and meeting cats’ environmental needs is crucial for their well-being and can prevent unwanted behaviours and reduce illness. Environmental needs include physical surroundings, social interaction and the human-animal bond. Each cat should have its own secure, private area in the house where they can go to relax/sleep away from the other cats. Preferably these areas should be up high on perches or shelves and can be provided by something as simple as a cardboard box, however; in multi-cat households the secluded areas should have more than one entry/exit to insure they cannot be blocked in by another cat. From a health and welfare perspective a cat will be more relaxed in a multi-cat household if they are aware of an area in which they can escape and hide. Another way in which environmental enrichment should be adjusted is by the quantity and placement of the key resources (food, water, litter trays, scratching posts and safe places). All of these individual resources should be placed in different locations around the house; separating food and water stations allows privacy and will reduce stress associated with feeding competition. It is important that cats in multi-cat households don’t feel like they have to share, thus giving them separate areas for all of their key resources to reduce stress, conflict and intimidation from other cats. In terms of quantity of resources, it is important to adopt the rule of having ‘1 per cat plus one’. 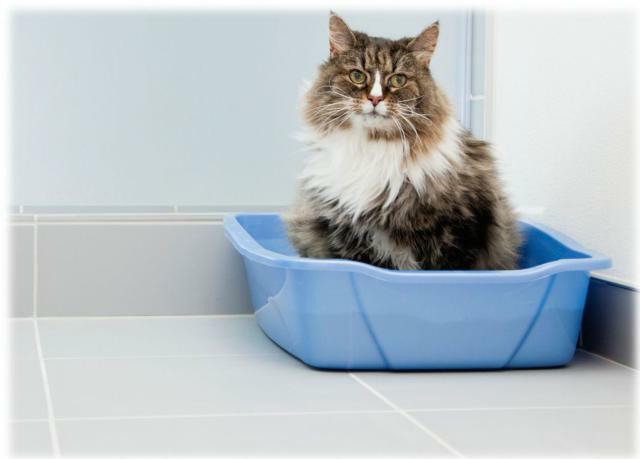 This means that if you have 3 cats in your household, there should be 4 litter trays, 4 food bowls, 4 water stations, 4 bedded areas, etc; all placed in separate areas. 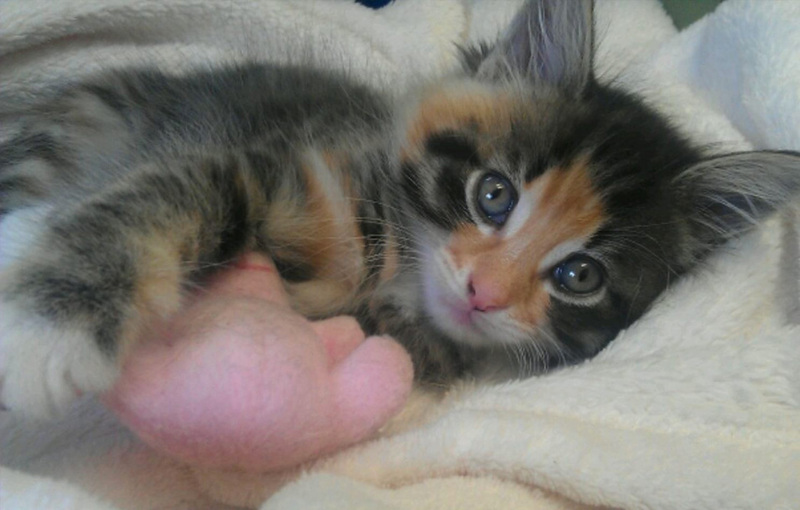 It is really important for cats, especially those kept indoors, to be provided with a variety of toys that enable them to show their natural behaviours. A simple way to do this is to use the cats’ normal daily food allowance to mimic predatory behaviours. This can be achieved by scatter feeding (scattering food around the house/common areas to encourage the cats to use their olfactory senses and work for their food), hiding food in different locations and/or using puzzle feeders (can come in a range of different types and are useful for stimulating cats, preventing them from eating too quick and making them work for their food). 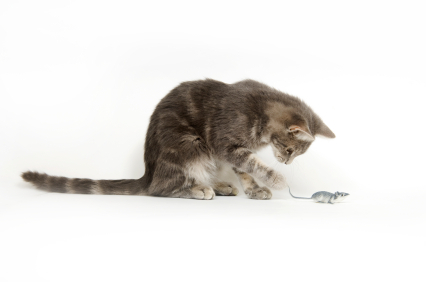 Encouraging the use of their senses and for them to display natural behaviours keeps the cats mentally stimulated and active in their household. A range of toys can also be used for stimulation, exercise and encourage natural behaviours. Rod toys or furry/feather toys can be used to encourage predatory behaviours. The cats should be encouraged to stalk, chase and catch the toy then should be given a reward afterwards. Cats are companion animals therefore it is really important that you maintain a human-animal bond and have regular interaction with the cats. In multi-cat households time will need to be divided between all cats to prevent tension. Interaction should never be forced. You should wait for the cat to come to you whilst encouraging with talking softly, avoiding eye contact, lowering yourself to their level and gently stroking the cat. 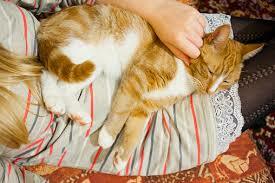 Positive human contact can have huge effects on cats. It can make them much more relaxed and comfortable in their home environment. Cats spend a lot of their time scent marking their household to make them feel more comfortable and identify boundaries. 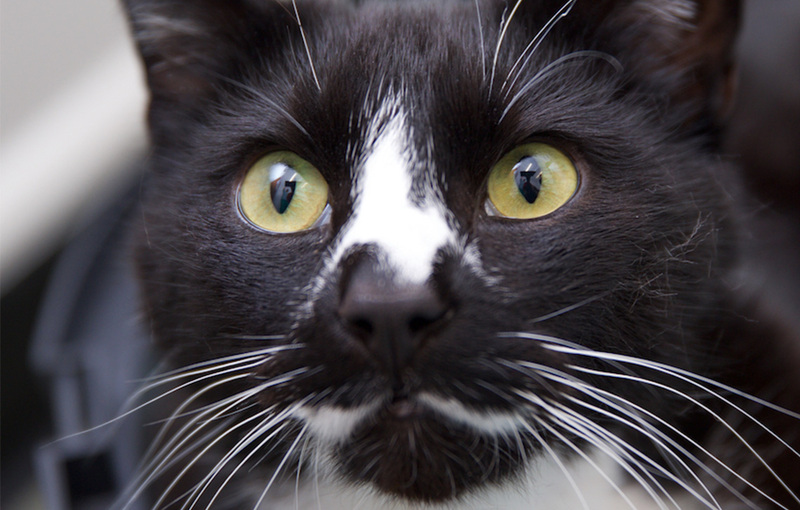 Cats rely hugely on olfactory senses as communication and to explore their environment. From an environmental enrichment perspective it is important to try not to disrupt these pheromones. Bringing anything new into the house (e.g. footwear or shopping bags) should be kept separate from the cats as they will contain different, unfamiliar smells and may cause stress to the cats. If possible, it is also a good idea that you try and prevent deep cleaning common areas where the cats will have spent a lot of time scent marking as it will disrupt the scent and may make them feel unsettled. A lot of stress related behaviours can be eliminated with the correct environment. Making the cats environment suitable for their needs will make them feel more secure in their home and can reduce any unwanted behaviours. In relation to this scenario it can also make cats more comfortable in multi-cat households by reducing competition and making them feel less vulnerable. 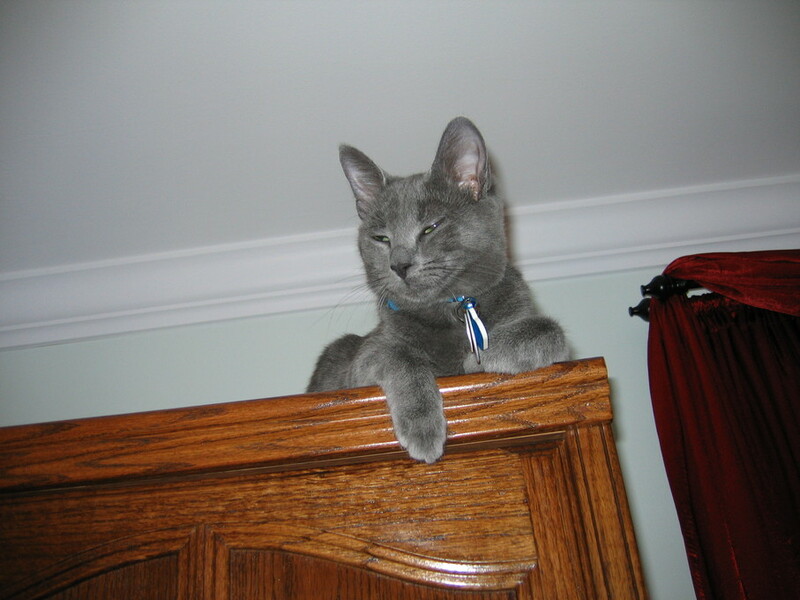 With indoor cats, environmental enrichment is essential in order to stimulate the cats the way in which they would be if they were going outside. By encouraging natural behaviours, keeping them mentally stimulated and giving them regular exercise will reduce the effects of any pent up energy.